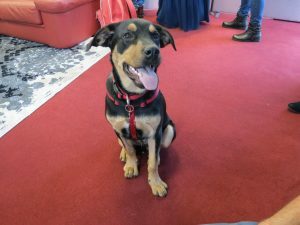 Diesel is a beautiful 7 month old rottie x boy. 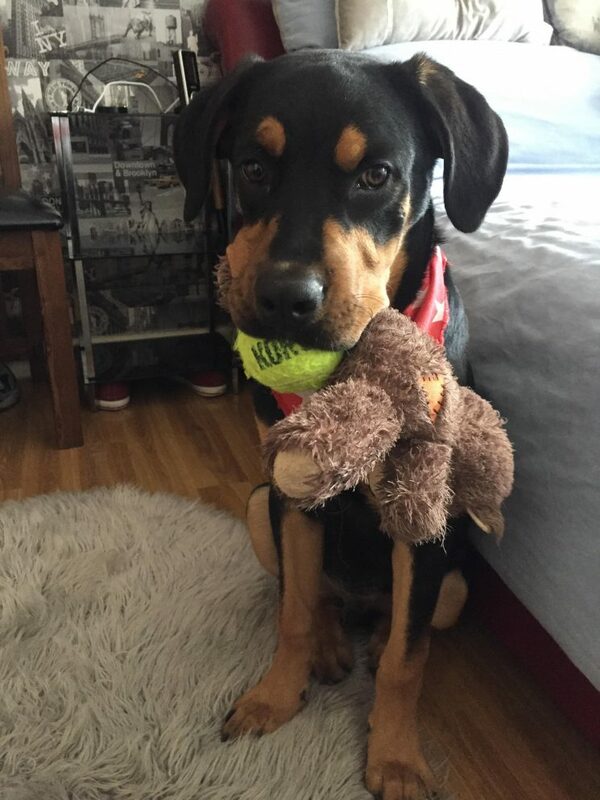 He loves to play ball and has a favorite teddy who he lays at your feet when he is tired. He is clever, loving and not to mention good looking. Unfortunately Diesel has severe hip dysplasia and irritable bowel at this young age. This means he cant walk too far or play for too long. Going up and down steps are a big problem for poor Diesel. 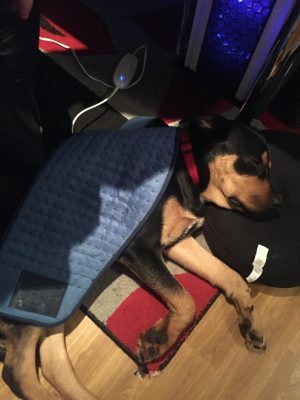 Diesel gets bouts of bad pain if he overdoes it despite being on continuous pain relief . 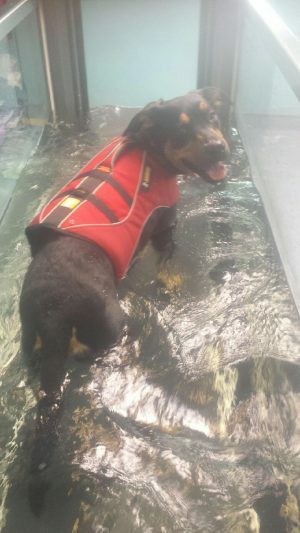 At the moment Diesel is having regular hydrotherapy to help strengthen his muscles which are very weak and his heat mat gives him great relief in the evenings. With all this going on he has a very sensitive digestive system also. 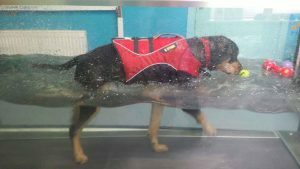 He is a much loved regular at Sunbeam vets and is a brave and dignified pup who deals with all treatment courageously and with a wag of his tail. Diesels’s treatment is costly and your sponsorship will help greatly towards his vet bills. He is adored by Sean and Helen and his best buddy Bella. He is a regular at our fundraisers and adores all the attention. So sad to see such a young boy in pain and in need of so many vet trips but with your help we will give him the best life. GOD BLESS YOU AND ALL THE COMPANSIONATE SOULS that help and Love THESE ANIMALS. JUST KNOWING THAT YOU ARE THERE FOR ALL THE ANIMALS. RESPECT THEM. I CAN SEE THAT UN THE YOUNG ROTT’S EYES AND IT REALLY MAKES AND WARMS MY HEART. I CAN’T THANK YOU ENOUGH. JUST FOR BEING. YOUR CONCERNS FOR THE ANIMALS ON EVERY LEVEL.